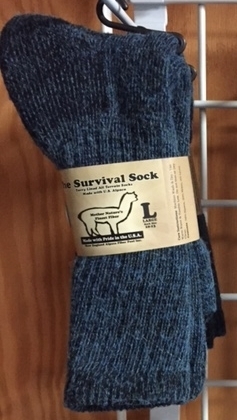 These alpaca survival socks are soft, comfortable and warm! 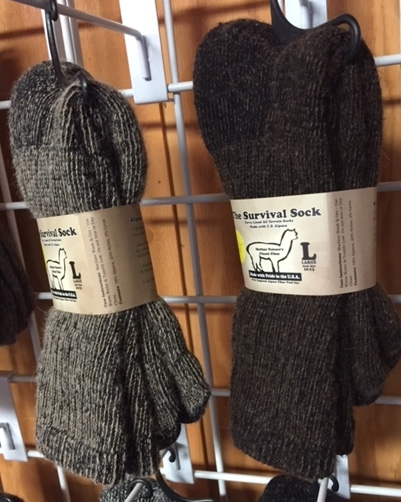 Alpaca is semi hollow, acting as an all natural insulator to trap warmth. Your feet will be comfy and toasty all winter! Size XL: Fits men's shoe size 12 - 14. 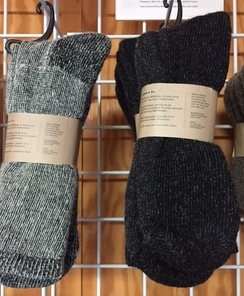 Alpaca fiber produced and manufactured in the USA.